Jessying - Malaysia Beauty Blog - Skin Care reviews, Make Up reviews and latest beauty news in town! : Plusify : Affordable & Trendy Plus size fashion brand in Malaysia. 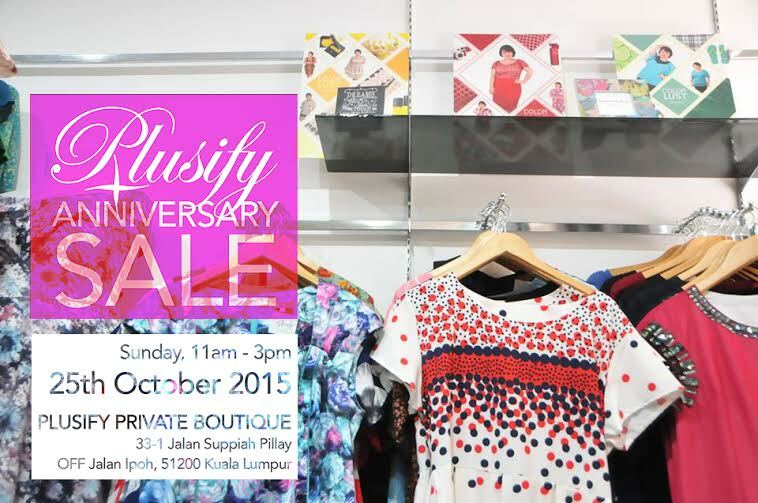 Visit Plusify Anniversary Sale & Boutique Launch! 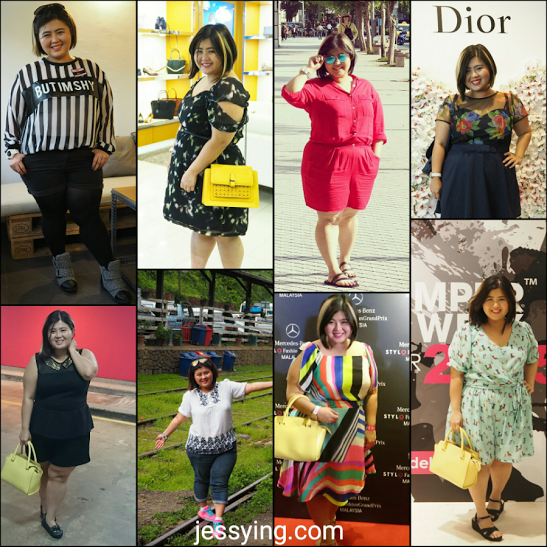 Plusify : Affordable & Trendy Plus size fashion brand in Malaysia. Visit Plusify Anniversary Sale & Boutique Launch! In the past, we have heard that if you are fat plus sizes you will not have beautiful clothes to wear and you cannot looks fashionable. I bet to differ, although I'm not super fashionable but I think we just need to learn the right fashion that flatter our curve. Honestly I felt whether you are thin or fat, tall or short, we love and be proud with our body. Confidence is the key of being beautiful. And I always received enquiries from some of you where do I buy my clothes and where can you all find affordable plus size clothes in Malaysia and honestly it is quite difficult to find affordable & trendy plus sizes clothes to wear because most of the times they are expensive and I have to alter the length of my clothes because it's too long for me. I always wish there are more local brands that can offers fashionable yet affordable plus size fashion. And Plusify answered to my calling! Plusify who was founded by Cherry Tan back in Nov 2014 because as a plus size herself she understands the needs of plus size fashion in Malaysia. She is also a blogger & Youtuber. I really like what she said in her blog! Not only Plusify offers fashionable tops, bottoms, dress ,... that suits you from day to night look from size 8 to 24. I think I spotted some pretty Bikini collection in her latest blog posting... *jaw drops*! Some of Plusify's collection available online at www.plusify.my ; very nice , colourful and trendy right? Free shipping worldwide some more! Plusify even have their own lookbook section, check out to get inspire! Also did you know Cherryn model for her own clothes and I think that's really good because that shows how comfortable and confident with her own brand! And looked at the price they are less than RM100! And now even are even on discount and not even RM50... OMG! Was really excited when I was told Plusify is having Anniversary sale in their new store! This means those who loves to touch and try before buying can drop by at their store at Jalan Ipoh! Plusify Store Grand Opening will be held on 25 Oct 2015 and I was told there will be lots of promotions & freebies up for grab! Yante from An-Nyssa will be there to showcase her work during the opening where you get to see amazing plus size artwork at the launch! Before I forgot, remembered to register with Plusify at http://lookbook.plusify.my/registration/ to get a special Plusify fashion gift on that day itself ! I will be definitely going to check out because I need to find dresses to attend few wedding dinners in Nov & Dec. So come by lah and we shop together okay and support Malaysian Plus size brand! Well we can start shopping for Deepavali, Christmas, New Year, Chinese New Year clothes... the real fact is we GIRLS DO NOT NEED ANY REASON TO SHOP when it's so affordable and nice! See you all there ya, remember to say hello if you see me ya! Good to see that nowadays market has got the choice for plus size clothing too.